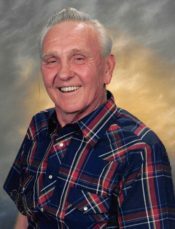 Charles Randle Reddick passed away Tuesday, October 23, 2018. The Lord gained an angel on this day and we lost a beloved man. Charles was loved by many for his love of people and life. He left a mark on the hearts of all who knew him. He was preceded in death by his daughter, Cynthia Ann Gould. He is survived by his wife, Shirley Ann Reddick; sisters, Sandra Diann Mohr, Linda Faye Smith, Edith Marie Cobb; one brother, George Randle Reddick; one daughter, Katherine Ann Melber; 4 grandchildren; 2 step-grandchildren and many great-grandchildren. A visitation will be held at Pensacola Memorial Gardens Funeral Home on Friday, November 2, 2018 from 1pm until the service begins at 2pm and burial immediately following. In lieu of flowers, all donations may be sent to Wild Life Rescue Sanctuary at 105 North S St. Pensacola, FL 32505. I am so sorry for your loss. I so enjoyed our afternoon visits on Sunday. I am prayering for all the family. Shirley I’m so sorry for your loss. Chuck was a great guy and friend.